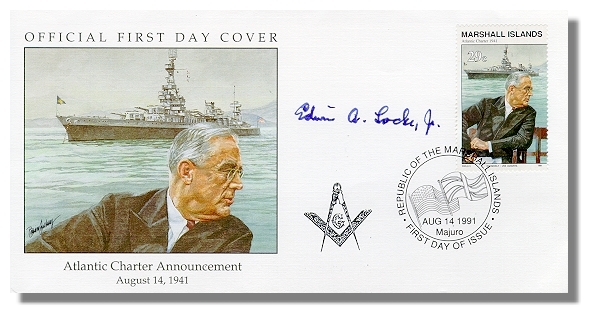 During August 9-12, 1941 President Roosevelt and Prime Minister Churchill rendezvoused in a secret meeting in the North Atlantic for the purpose of discussing the principles they saw as governing the post-War world. 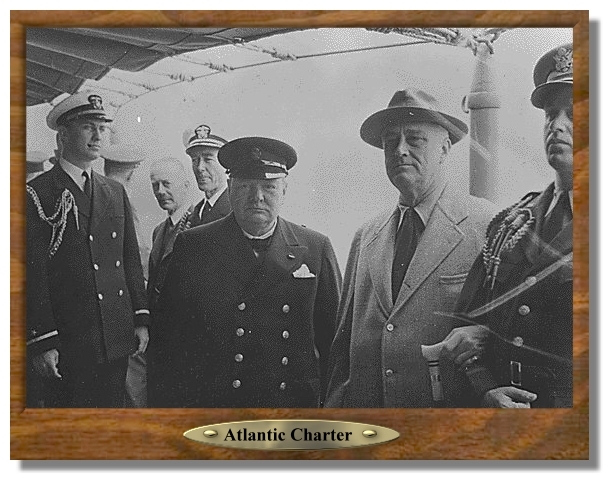 This Conference resulted in the eight-point Atlantic Charter, which was officially announced on August 14, 1941. Prime Minister Winston Churchill and President Franklin Roosevelt aboard the U.S. S. Augusta, off the coast of Newfoundland, August 1941. NARA Photo.